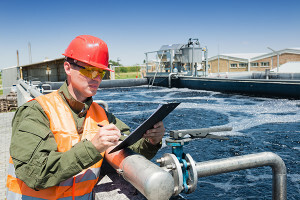 With over 30 years of experience managing industrial effluents, CRS is an ISO-certified provider for industrial fluid management who brings a wealth of knowledge to the management and treatment of drilling fluids, including oil-, water- and synthetic-based muds and water from air drilling. CRS offers optimized, on-site reprocessing services that are designed to meet demanding requirements and specifications. CRS is a full-service provider with a range of offerings from traditional solutions to more complex, custom-designed options to meet varying industry requirements. Featuring a small footprint and enclosed options to protect from the elements, CRS’ flexible, modular approach accommodates a variety of applications while ensuring maximum operational efficiency and reliability. This includes being on-site to adapt to changing conditions while managing our entire process. Because the CRS process is modular, we can easily accommodate variable fluid volumes and quickly respond to changing conditions with minimal disruption. To insure the highest level of reliability, CRS stocks spare parts on-site and at our facilities. CRS also offers entire backup systems to help reduce downtime and maximize site output. Our expertise includes the creation of process-controls software, providing unmatched automation and consistency essential for well pad production efficiency. Only CRS offers this level of innovation to ensure optimal production. The CRS process renders a solid letdown for easy and cost-effective disposal. CRS’ solid letdown passes the standard paint filter test, reducing absorbent costs as well as hauling and waste disposal fees. Plus, our process minimizes polymer use, helping to lower costs and reduce environmental impact. Our water-based fluid solutions result in high-quality centrate and exceptional solids control—reducing solids to any customer-designated specification, including 0%. The centrate can then be reused for multiple purposes, including dust mitigation, soaping, hydraulic fracturing and more. For oil-based fluids, CRS solids control solutions provide outstanding performance to deliver fluids with LGS as low as 4% or less depending on specifications. In addition, high levels of barite can be recovered to reduce weighting agent costs, and vertical dryers facilitate better removal of oil from cuttings. Drill cuttings, a waste by-product of the oil drilling process, are particles of crushed sedimentary rock that can consist of 70% mineral solids, 15% water and 15% oil. Typically operators send this waste to a landfill without getting the value that is locked within this structure, as they do not have a viable solution to extract the oil from these cuttings. CRS Reprocessing has successfully developed a process to extract the oil from the oil based mud drill cuttings utilizing the CRS TUF Technology. The quality of the recovered oil is dependent on the initial oil quality used to form the oil based mud, however we can typically expect the extracted oil to be equivalent to number 2 burner oil. This changes the economic equation for the operator or disposal company handling the drill cuttings waste going forward. Depending on the quantity of cuttings and the oil content, the oil generated from the TUF process can become an additional revenue stream. Additional opportunities for oil recovery exist for mud tank owners that want to extract the oil from inventoried oil based mud that is not productive due to the drilling slow down or that is at the end of its useful life due to high levels of contamination. CRS can effectively recover the base oil using a similar process to that used for drill cuttings. With over 30 years of experience managing industrial effluents, CRS is an ISO-certified provider for industrial fluid reprocessing who brings a wealth of knowledge to the management and treatment of hard-to-treat, late-stage produced water from hydraulic fracturing. A former division of British Petroleum, CRS offers optimized, on-site, off-site and near-site reprocessing services that are designed to meet demanding customer requirements and specifications. CRS’s flexible approach accommodates a variety of applications and processes to meet a wide range of customer requirements and reduce the risks and costs associated with transporting water to distant reprocessing sites. This not only helps address regulatory issues concerning water waste, but also mitigates the impact of water shortages brought about by drought. CRS also provides on-site and off-site laboratory services, backed by extensive Research and Development resources, for accurate analysis and quick response to changing conditions. 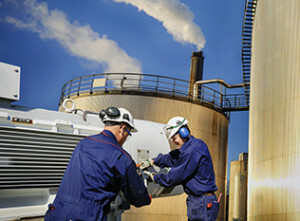 CRS’s solutions recycle water from Oil & Gas operations for reuse. This process results in zero liquid discharge, allowing the water to be used in other wells and reducing the need for fresh water. Our unique process and proprietary centrifuge design can effectively reduce the amount of solid waste cake down to 20% of its original volume. 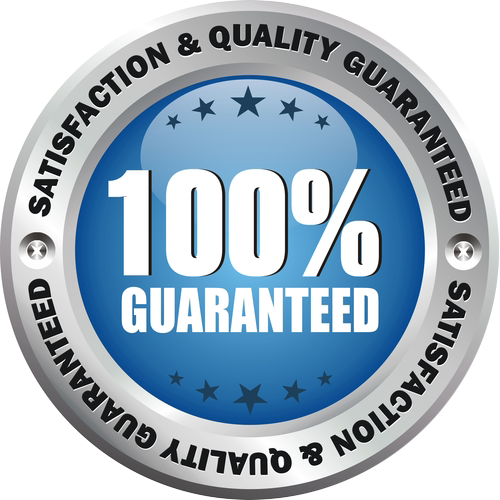 Our equipment is backed by our experienced reprocessing personnel, on-site/off-site testing and full engineering support. We develop a custom solution designed to meet specific requirements and provide unparalleled services with highly experienced and dedicated team of Oil & Gas services staff. Designed to accommodate all fluids used in oil and gas applications, TUF (Tough Ultra Filtration) is a proprietary filter solution that delivers exceptional solids control. TUF provides drilling operations with a flexible option that can be modified as needs dictate to effectively reduce Total Suspend Solids. This solution can also be used to separate out hydrocarbons, solids, and contaminants as required. Developed through CRS’s extensive engineering resources, TUF reduces costly equipment maintenance and improves water recovery for reuse. This high recovery rate also means less water is required to be brought on site for operations, reducing material and transportation costs and helping address environmental issues. CRS developed technology to meet the demands of ever more complex oil and gas wells: extended-reach drilling, faster drilling, increased volumes, and harsh environments. 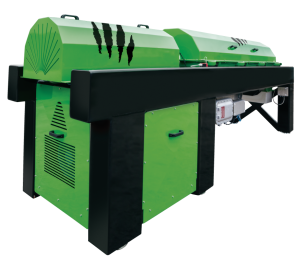 Featuring a proprietary design, THE BEAR centrifuge from CRS delivers high-speed processing for outstanding solids control in oil and gas operations. THE BEAR’s unique design makes it equally effective in processing both water-based muds (WBM) when drilling top-wells as well as oil-based muds (OBM) when drilling production wells. Featuring a proprietary design with a longer bowl configuration, THE BEAR centrifuge from CRS delivers high-speed processing for outstanding solids control in oil and gas operations, efficient management of drilling fluids including oil- and water-based muds, water from air-drilling and more. Protecting the environment is the nature of our business. Click here to find out more. Copyright © 2019 CRS Reprocessing Services. Designed by Element 502.